Game-breaking bugs have reared their ugly heads in Final Fantasy XIV, forcing Square-Enix to revise its timetable. 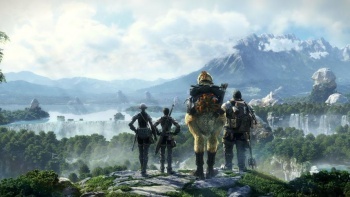 Square-Enix has announced that the open beta of its new MMO Final Fantasy XIV, which was scheduled to launch either later today or early tomorrow depending on where you are, has been postponed until further notice. Square-Enix apologized for any inconvenience, blaming the delay on the discovery of "critical bugs." There's currently no indication as to when the new start of the open beta will be, with the announcement only saying that a new schedule would be released at a "later date." Square-Enix didn't say what the bugs were, but they are clearly serious enough to force the company to stop the beta just hours before it was due to go live. With so little information, it's impossible to even begin to speculate as to what might be happening, when the beta will begin, or what effect this will have on the game's PC release on September 30th. We also don't know if the bugs are limited to just the PC version, or whether they affect the PS3 version - which is due to be released in March 2011 - as well. Hopefully Square-Enix will be able to fix the bugs quickly and the beta won't be delayed for too long, but we'll have to wait and see.